Yes, given my love for Eeyore, Winnie-the-Pooh is totally one of my fandoms. One more found during the 50th Anniversary event last year. I got my letter, wand, robes, school books, and cauldron. I’m all set. 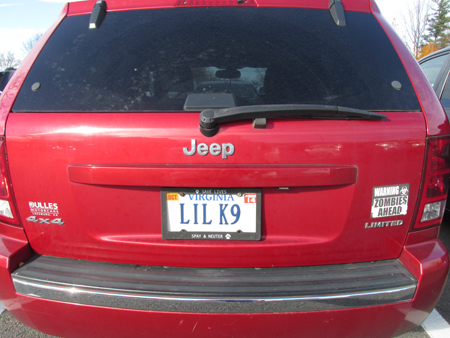 Another license plate belonging to someone in my Harry Potter meeetup group. 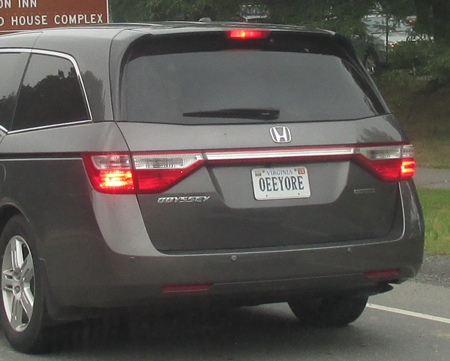 I have seen this one several times now on my morning commute, so I am pretty sure I know where this person was headed. This is one giant light saber. 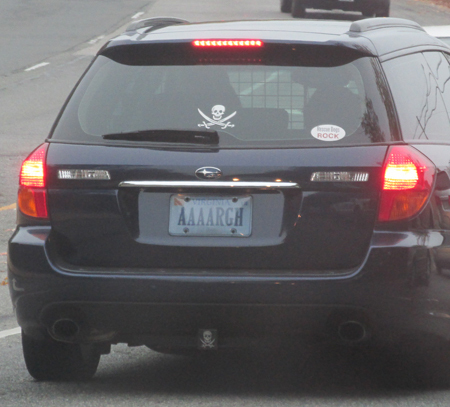 Not exactly a fandom, but September 19 is Talk Like a Pirate Day and Pirates of the Carribean is one of my fandoms, so I’m counting this (especially as I don’t think I ever got a photo of the Captain Sparrow license plate that used to be in my old neighborhood–on a black car). This one is just so much fun to say! And, yes, September 19 is also Hermione’s birthday, but I just did a Harry Potter one in July, so I’m going for some variety here. Another catch at the 50th Anniversary event. I love that this one also has the NASA logo; how appropriate! Make sure you have plenty of chocolate when you get into this car! 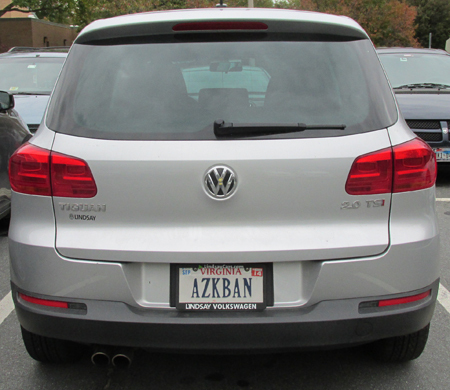 Full disclosure: this belongs to one of the members of my local Harry Potter meetup group I thought this was appropriate to post for my July license plate post (happy early birthday to Neville Longbottom, Harry Potter, and J.K. Rowling). I was always terrible at car/driving video games. Still, I’ve got to love this one. 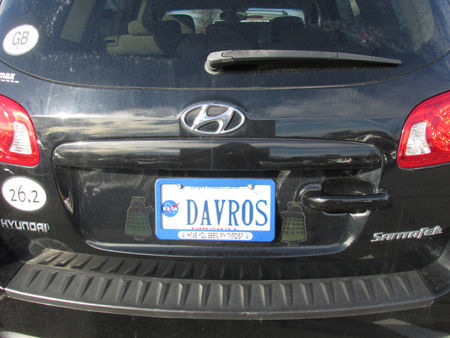 How perfect for a license plate! 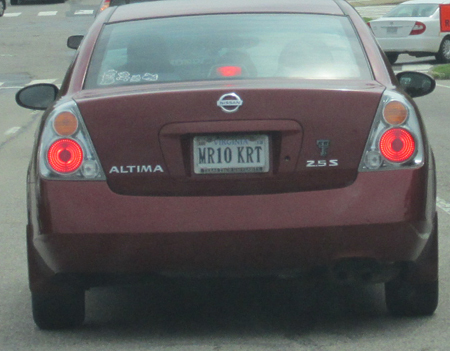 Please note that I did not throw any barrels at the car or try to pass it. 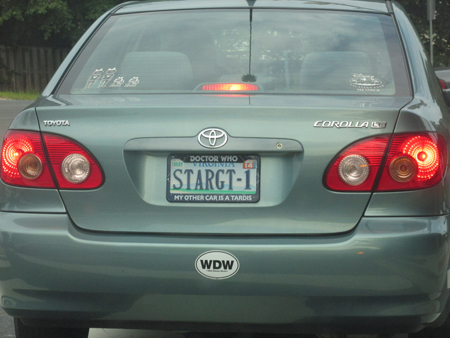 The Doctor Who anniversary episode event at my local movie theater was a great occasion to find Doctor Who plates. Don’t blink. Don’t even blink. Blink and you’re dead. 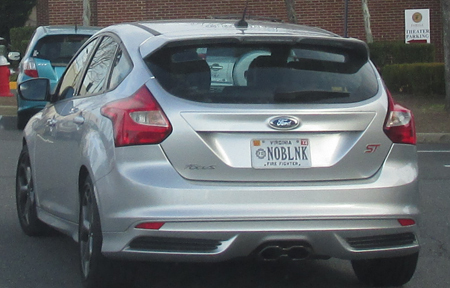 I decided to try to post a different fannish license plate every month (on the 8th of the month, as that’s when I posted the one last month). 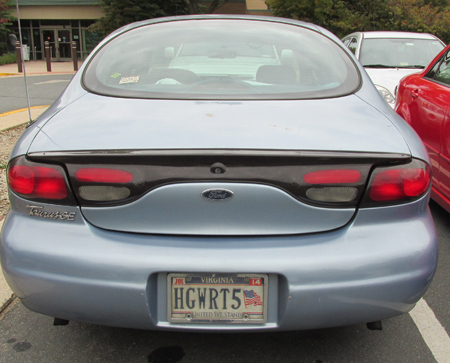 I’ve seen this one twice now: once here, on the street, and once in a parking lot at night. Awesome car. 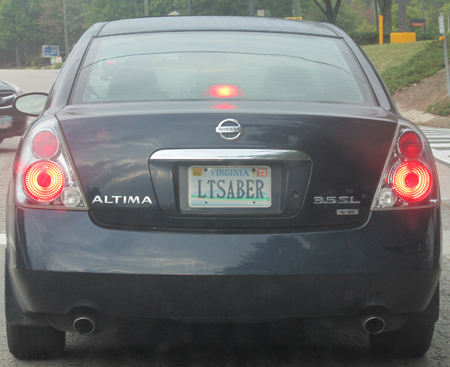 I desperately need to be friends with this person.